We previously shared some leaked renders of the rumored next flagship smartphone from Taiwanese manufacturer HTC. Today, we’ve got confirmation that the new device is indeed real and it’s coming out soon. As you can see, the HTC One doesn’t stray that far from its predecessor, the HTC One X. But it seems that HTC is banking on features like the 4 MP Ultrapixel Camera and HTC Zoe, which will allow you to create 3-second animated short films with your camera, to bring in new fans. According to reports, the HTC One will also come with an improved sound experience through HTC Boomsound and an even better UI via HTC Sense 5.0, which supposedly has taken some design elements from Microsoft and their Windows Phone OS. 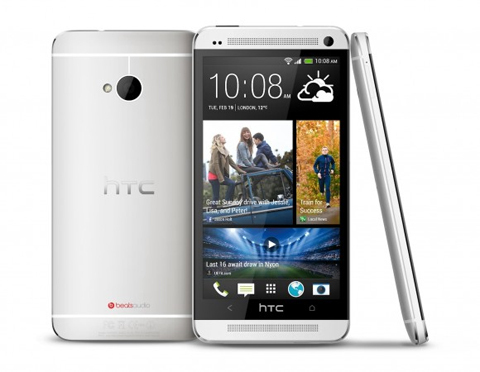 So what do you think of the HTC One? Will it be enough for you to drop your Galaxy Note 2, iPhone 5s and Nokia Lumia 920s? Or does HTC need to come up with something entirely different to catch you attention? Share your thoughts in the comments below!